Your business is subject to many rack storage regulatory and compliance risks. The Three Sixty Safety hazard audit processes help you mitigate the potential citations/OSHA violations that are incurred as a result of non-compliance. 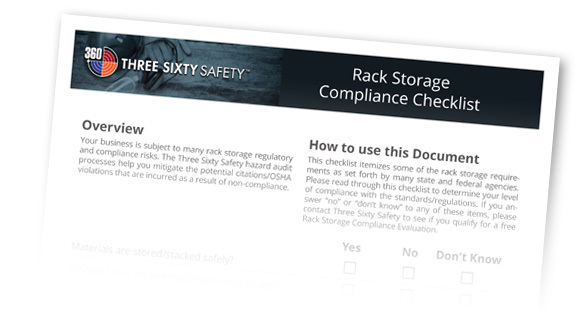 Please fill out the form below to download our Rack Storage Compliance Checklist.